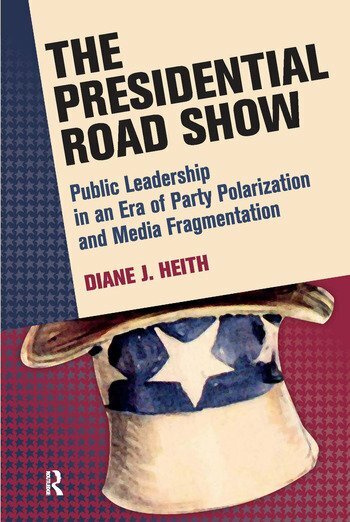 In The Presidential Road Show: Public Leadership in an Era of Party Polarization and Media Fragmentation, Diane J. Heith evaluates presidential leadership by critically examining a fundamental tenet of the presidency: the national nature of the office. The fact that the entire nation votes for the office seemingly imbues the presidency with leadership opportunities that rest on appeals to the mass public. Yet, presidents earn the office not by appealing to the nation but rather by assembling a coalition of supporters, predominantly partisans. Moreover, once in office, recent presidents have had trouble controlling their message in the fragmented media environment. The combined constraints of the electoral coalition and media environment influence the nature of public leadership presidents can exercise. Using a data set containing not only speech content but also the classification of the audience, Diane J. Heith finds that rhetorical leadership is constituency driven and targets audiences differently. Comparing tone, content, and tactics of national and local speeches reveals that presidents are abandoning national strategies in favor of local leadership efforts that may be tailored to the variety of political contexts a president must confront.